The most powerful & significant of our family sadhana or spiritual practice is Gayatri. At the beginning & at the end of each day I sing the Gayatri Mantra to the children. It is often very informal - & simply sung when they wake & when I tuck them into bed. 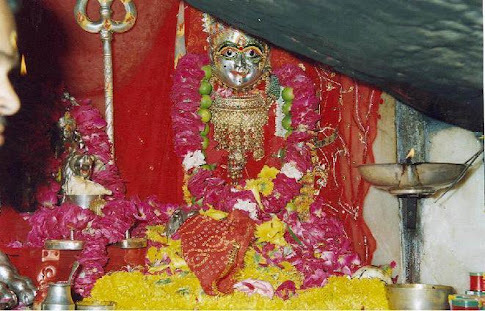 The Gayatri Mantra is a highly revered mantra in Hinduism. Written in Sanskrit, it consists of the prefix :oṃ bhūr bhuvaḥ svaḥ ॐ भूर्भुवस्वः, a formula taken from the Yajurveda, and the verse 3.62.10 of the Rigveda (which is an example of the Gayatri metre, whence the mantra's name). 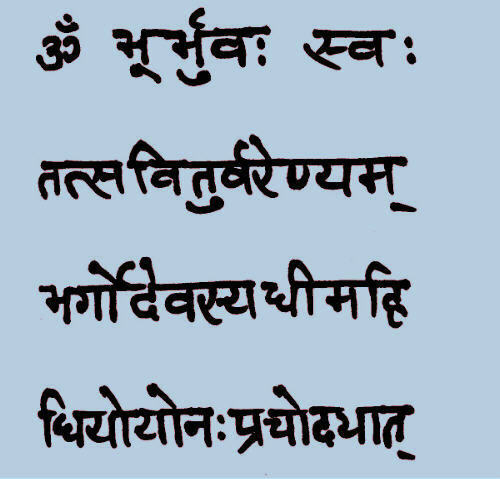 Since the other three Vedas contain material from the Rigveda, the Gayatri mantra is found in all four Vedas. 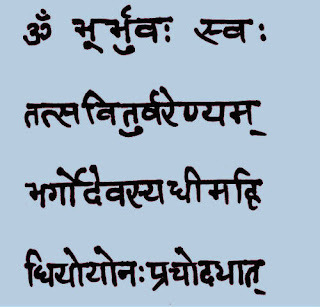 The deva invoked in this mantra is Savitr, so the mantra is also called Sāvitrī. A personification of this mantra has come to be worshiped as a goddess in her own right, Gayatri. 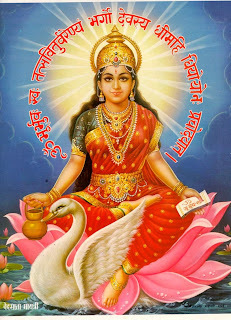 The Gayatri Mantra is praised in several other Hindu scriptures, including Manusmṛti, Atharvaveda, and the Bhagavad Gita.